Click on any image to read an excerpt from the book or watch the DVD trailer. 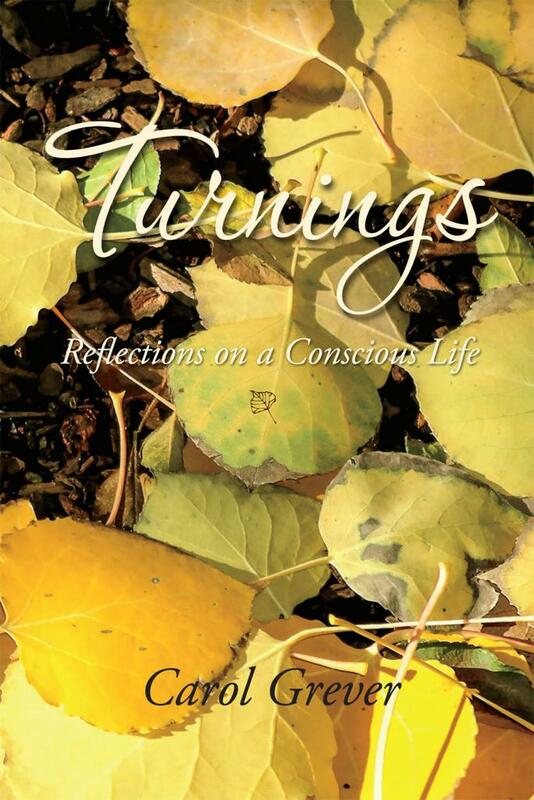 Turnings: Reflections on a Conscious Life is Carol Grever’s new memoir. Stories and poems form a mosaic of courage, unveiling a gay mate’s coming out, a spouse’s addiction, and her spiritual awakening. Unexpected pivotal events open extraordinary adventures and heartening discoveries. 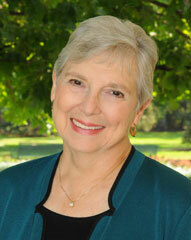 Known for her earlier work on mixed-orientation relationships, Carol reveals with unwavering honesty her own transformative “turnings,” changing the course of a formerly peaceful life. 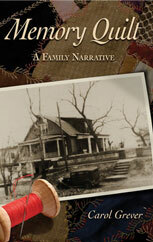 Turnings is available on Amazon.com as a paperback or e-book. This rich but accessible collection of poems is archaeology of the soul, unearthing artifacts of personal insight. 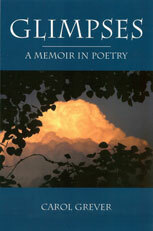 Each poem distills meaning to illuminate a vivid moment or an everyday truth. The poems are arranged in roughly chronological categories to offer glimpses of family, career, travels, transitions, passions and quietude. Together, the collection reveals deepening understanding with age and suggests the essence of a full life. 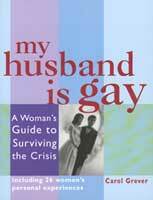 Personal stories of 26 women demonstrate various paths toward wholeness in this practical self-help guide. It details recognizable stages of healing for straight spouses, from initial shock to eventual resolution. Their poignant accounts infer an accessible roadmap to recovery. This enduring, optimistic book has been translated into Thai (2003), Spanish (2004), and Greek (2012). Read more about the book's development here. 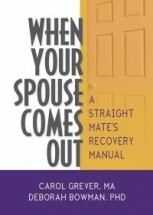 Co-authored by psychologist Dr. Deborah Bowman, this versatile, authoritative self-help book explores underlying psychological forces and practical steps toward long-term recovery for both male and female straight spouses. It layers riveting case studies with professional interpretations and therapeutic personal activities. An optional Guidebook for Workshop Facilitators, Mental Health Professionals, and Instructors can be used in the classroom or with support groups. Heterosexual wives and husbands tell their stories directly in this unique documentary. 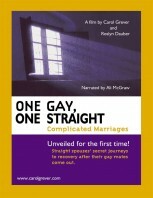 Written and produced by Carol Grever, directed by Roslyn Dauber, and narrated by actress Ali MacGraw, the film opens the secret closet shared by mixed-orientation families. Intimate interviews dramatically demonstrate that healing is achievable. Memory Quilt recounts the author’s grandparents’ precarious journey from the Great Depression through the 1940’s, weaving together recollections of two remaining generations. Follow the Strouds through their crucible of poverty and wandering and discover their center of strength. Scraps of family lore are stitched into a warm memory quilt that cradles in its folds encouraging lessons that still apply, half a century later.